If I pay a collection agency account, will it still count against my credit score? I need to sell my Texas homestead, but I also need to file chapter 7. Will I lose my equity to the bankruptcy court? Can I negotiate an affordable repayment plan for my defaulted private student loan? 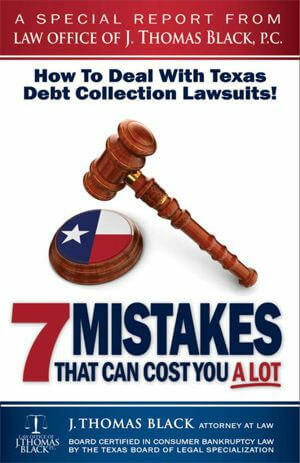 How many people in Houston have bad debts on their credit reports? I am in chapter 13 and my plan is confirmed. If I convert to chapter 7, do I get any money back? Can I file a Texas bankruptcy and not include my spouse and not hurt their credit? What can happen if I destroy or throw out evidence in my Houston, Texas bankruptcy case? I live in Houston, Texas. Can I pay my delinquent child support through a chapter 13 plan? I inherited a $100,000 IRA from my mother. 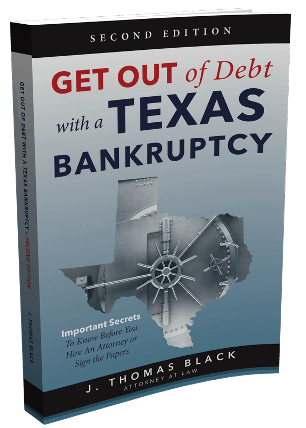 Will it be taken away from me if I file bankruptcy in Texas? I own my Texas home in a rural area, and it is in 3 different tracts or parcels. Can I claim it exempt or safe from creditors in chapter 7? If I have a Texas home equity loan, can my loan modification be denied because of it? Can I get my pickup truck back if it was repossessed for mechanic's lien? Is it legal for a company to pull my credit report without my permission and without a "permissible purpose"? Where can I go to purchase distressed assets from bankruptcy trustees? 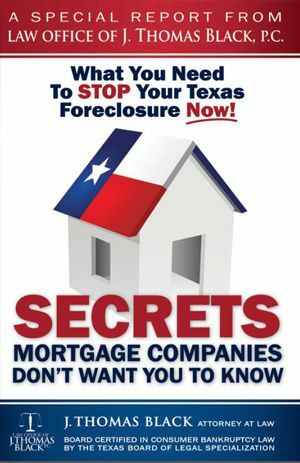 Can I hire a lawyer from out-of-state to stop my home foreclosure in Houston, Texas? Can I be sued in court for more money after a foreclosure of my home in Texas? Can I take out a payday loan to pay my bankruptcy lawyer's fees to file my bankruptcy? A "federal" debt collector called me and threatened me with arrest for a 6 year old check. Is it legal? Do student loan creditors ever agree to the discharge of their debts in bankruptcy? Can I sell my home in Texas during my bankruptcy and can I keep the money or does it go to creditors?